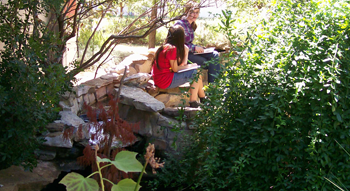 Outdoor classrooms provide an area where classes can meet to work on academic lessons. 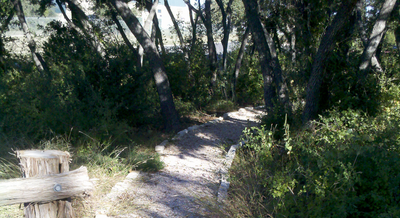 Nature trails provide paths where students can walk through and explore and engage with a natural area. Both are places where the entire school community can explore and engage with nature. 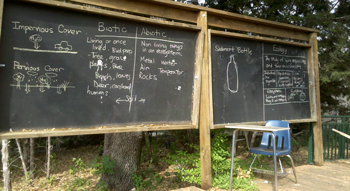 Not all students learn the in the same way; for example, kinesthetic and visual learners can thrive in outdoor classrooms and on nature trails where their senses are highly engaged to support their learning style. 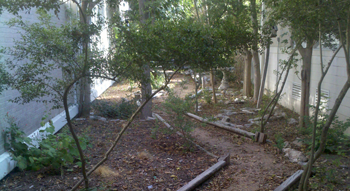 The recommended steps for creating successful outdoor classrooms and nature trails are similar and require careful, upfront planning since many of the components are fixed and would be difficult to change after installation. Students can and should participate in the maintenance but you can also consider parent and volunteer workdays. 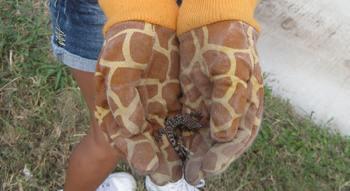 Outdoor classrooms provide not only a change of scenery for core subjects but also an environment well suited for age appropriate lessons in biology, botany, natural science, and self-initiated learning experiences.